VEĽKOSŤ XL . 1 KUS SKLADOM, IHNEĎ K ODBERU. DORUČENIE DO 2 PRAC. 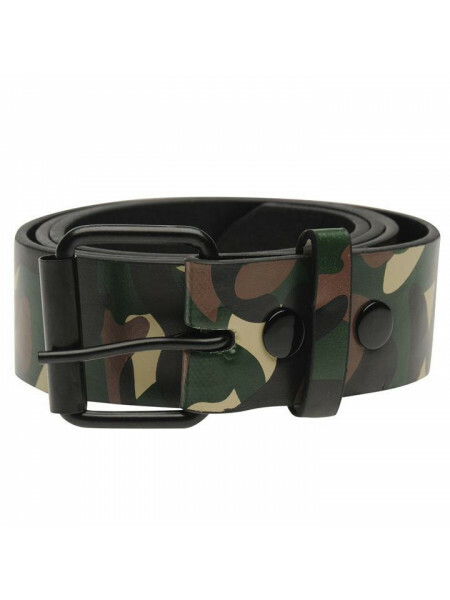 DNÍ.ulp Printed Belt je syntetický pás s celoplošným potlač..
Airwalk Plain Belt Mens The Airwalk Plain Belt Mens is great for everyday wear with a large metal tab buckle complete with the Airwalk logo ..
Firetrap Zipper Belt Ladies The Ladies Firetrap Zipper Belt is ideal for adding a stylish touch to your look, featuring a zipper edge to one..
Lee Cooper Checker Belt Mens The Mens Lee Cooper Checker Belt offers a stylish statement look with an embossed check pattern to the belt alo..
Lee Cooper Embossed Floral Belt Ladies The Ladies Lee Cooper Embossed Floral Belt offers a subtle stylish finish thanks to the embossed flor..
Lee Cooper Knot Belt Ladies Product code: 945029..
Lee Cooper Pattern Belt Ladies The Ladies Lee Cooper Pattern Belt features a stamped out floral pattern for a stylish look along with a buck..
Lee Cooper Worker Belt Mens The Mens Lee Cooper Worker Belt has a simple statement look with tonal stitching to the edges along with a buckl..
Oneill Easy Peasy Belt Ladies The Ladies Oneill Easy Peasy Belt is perfect for adding a simple but stylish finish to any outfit, completed w..
Batman Print Belt Mens Product code: 945141..
Superman Print Belt Mens Product code: 945206..
Firetrap Double Buckle West Belt Ladies The Ladies Firetrap Double Buckle West Belt is perfect for finishing a statement look, crafted with ..
Jilted Generation Canvas BeltThe Jilted Generation Canvas Belt is the rockin' accessory to add to your everyday style! 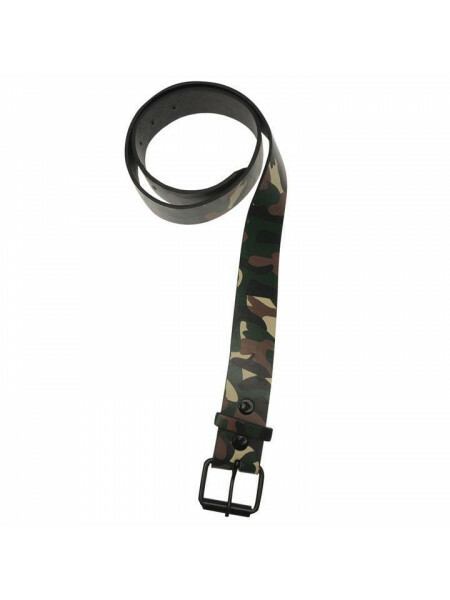 Add that extra drop o..
D555 Edward Web BeltThe D555 Edward Web Belt is designed with a metal clasp fastening, with a woven fabric construction for an adjustable, d..
Karrimor Walking Trouser Belt Mens Ensure your trousers are comfortable and secure before you embark on your next walking adventure with the..
Lee Cooper Stitched Mens Belt Accessorise your outfit with this Lee Cooper Stitched Belt that is a PU crafted strap with a tarnished buckl..
SoulCal Braid Belt Ladies Product code: 945045..
SoulCal Native Belt Mens The Mens SoulCal Native Belt is perfect for everyday casual wear, featuring a native inspired embossed pattern alon..
SoulCal Shield Belt Ladies The Ladies SoulCal Shield Belt features metal shield details with a moulded pattern that is perfect for everyday .. Wool Belt by Firetrap Blackseal > Premium belt> Buckle fastening> Wool belt> Firetrap Blackseal branding Produc..
Kangol Multi Loop Belt Ladies The Ladies Kangol Multi Loop Belt offer a simple and stylish look with a multi tonal triple belt loops along w..
Kangol Raised Belt Mens The Mens Kangol Raised Belt offers a smart casual look thanks to the raised bar to the middle of the belt along with..
Kangol Ribbed Belt Mens The Mens Kangol Ribbed Belt has a smart stylish look that is perfect for completing a smart casual look, featuring a..
SoulCal Corded Belt Mens The Mns SoulCal Corded Belt is perfect for everyday casual wear, featuring a two tone plaited design along with a ..
SoulCal Floral Stitch Belt Ladies The Ladies SoulCal Floral Stitch Belt is perfect for adding a fashionable statement finish to any outfit t.. 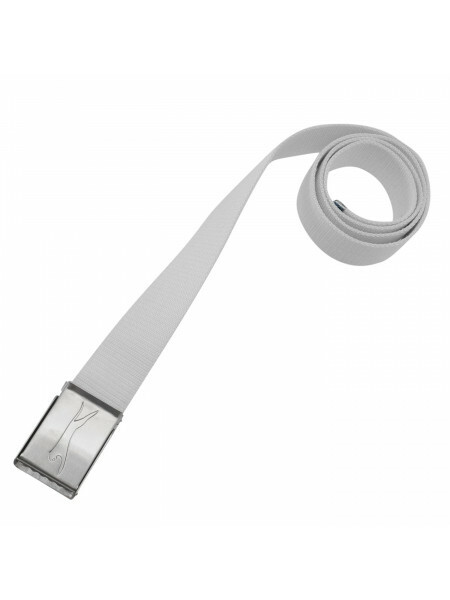 Fabric Texted Belt The Fabric Texted Belt is a must have for securing and finishing your own fashion look! The Fabric Texted Belt is perfec..
Firetrap Skinny Stud Belt Ladies The Ladies Firetrap Skinny Stud Belt is great for adding a stylish touch to your look, featuring a studded ..
Golddigga Plain Belt Ladies The Ladies Golddigga Plain Belt is perfect for adding a finish touch to any casual look, featuring a simple belt..
Lee Cooper Plain Belt MensThe Lee Cooper Plain Belt is constructed from durable synthetic leather with the brands iconic signature logo embo.. 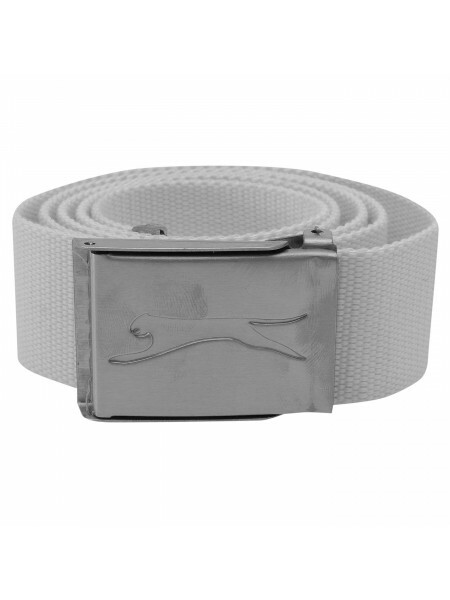 Pulp 3 Row Stud Belt MensThe Pulp 3 Row Stud Belt adds a stylish finish to any outfit, complete with a buckle fastening for a comfortable fi..
Slazenger Web Belt The Slazenger Web Belt will add that finishing touch to any outfit thanks to the Slazenger branding and silver buckle fa..
SoulCal Dual End Belt Mens The Mens SoulCal Dual End Belt offer a simple but stylish look with a faux end detail in a contrasting two tone c..
Kangol Reverse Belt Mens This Kangol Reverse Belt is the perfect way to finish off any outfit. With a reversible buckle featuring the Kangol..
Firetrap Dark Stud Belt Ladies The Ladies Firetrap Dark Stud Belt features a double row of small studs for a stylish look, completed with a ..
Firetrap Scale Belt Ladies Product code: 945027..
Firetrap Stud Loop Belt Ladies The Ladies Firetrap Stud Loop Belt has a subtle and stylish look with studded detail to the loop, completed w..
Jilted Generation Belt BuckleAccessories your outfit to the max, with the Jilted Generation Belt Buckle. >Belt buckle>Metal>Quality designs .. 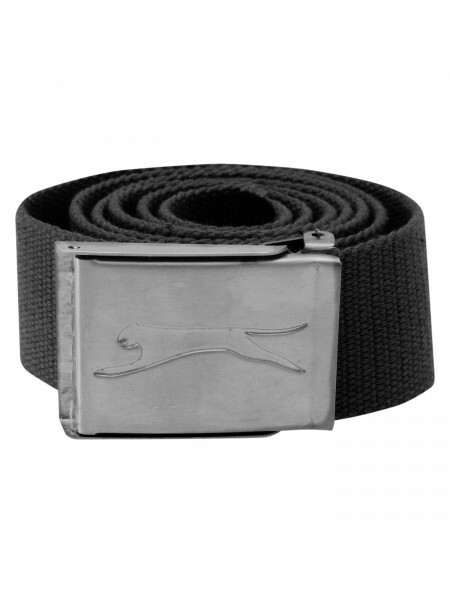 Pulp Plain Belt Mens The Pulp Plain Belt adds a simple but stylish statment to any outfit, completed with a buckle fastening for a comfortab.. Pulp Printed Belt The Pulp Printed Belt is a synthetic belt with an all over print, for an eye catching design. > Belt> Buckle > Printed des..
SoulCal Logo Belt The SoulCal Logo Belt is the perfect final touch for any fashion look to deliver that eye catching and desirable look! The..